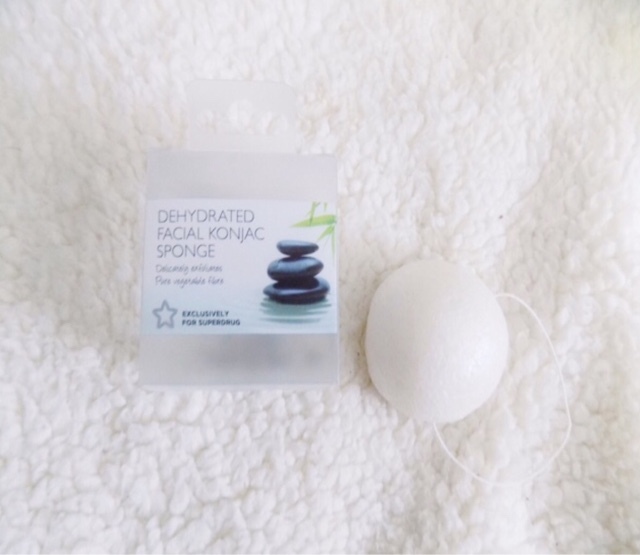 I have recently started using a regular Konjac Sponge and there is a few things I wanted to talk to you about in case you are on the look out for a new cleansing helper. You can get different types of Konjac Sponges like charcoal or clay, but I have just the regular white one which doesn't have any other benefits except making my skin feel ridiculously soft and smooth. If you're like me and hate having any feeling of makeup left on your skin, rather than forking out hundreds of your hard earn cash on a cleansing brush, a Konjac Sponge will do a great job for a ridiculous fraction of the price. They make your skin feel super soft and smooth without the need for any harsh exfoliators. You can use the sponge with a cleanser, or with an exfoliator (I do it with either or) and I just like how it get's my skin feeling squeaky clean without any uncomfortable dry or tight feeling. You're going to need to throw it away after a month. But just remember, they're a couple of quid so you can get a bunch of them (even some with the added benefits like clay or charcoal) and you will be set for a while.